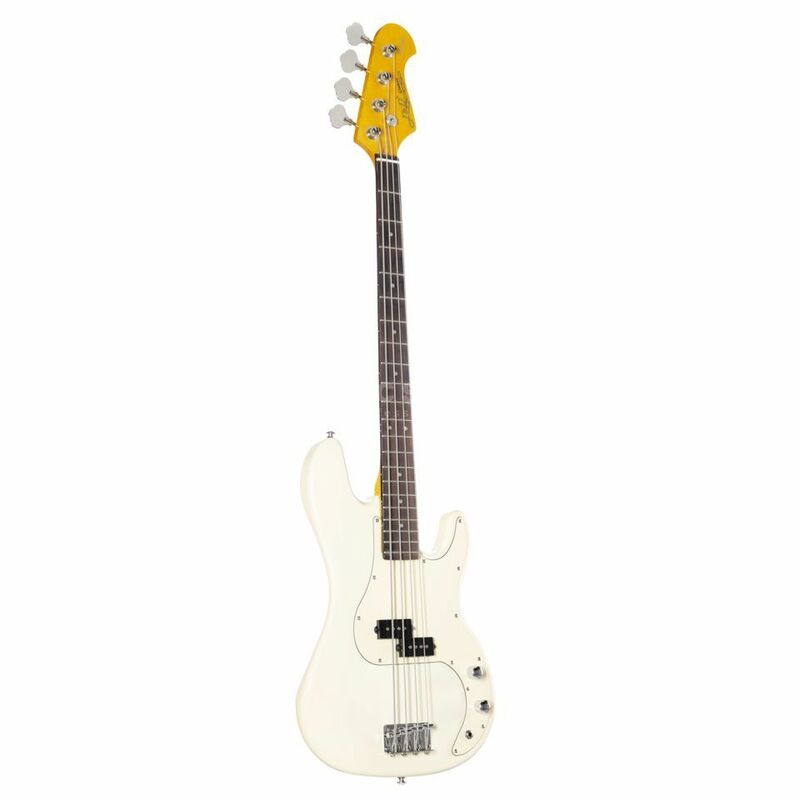 The J&D PB Vintage 1963 in Vintage White is a 4-string bass guitar that brings the classic looks and feel of a P-style bass guitar to an unbelievable price-point. The J&D PB Vintage 1963 features a familiar double-cutaway Alder body that is joined by an incredibly comfortable bolt-on Maple neck. The neck itself is topped by a 20-fret Rosewood fingerboard that is finished with classic white dot inlays. To complete the look, the J&D PB Vintage 1963 4-string bass guitar comes equipped with a single P-style Alnico split single-coil pickup that is connected to master volume and tone controls. Finally, the PB Vintage 1963 is fitted with a three-ply white pickguard and chrome hardware.